Your hotel in Rimini open all year round. 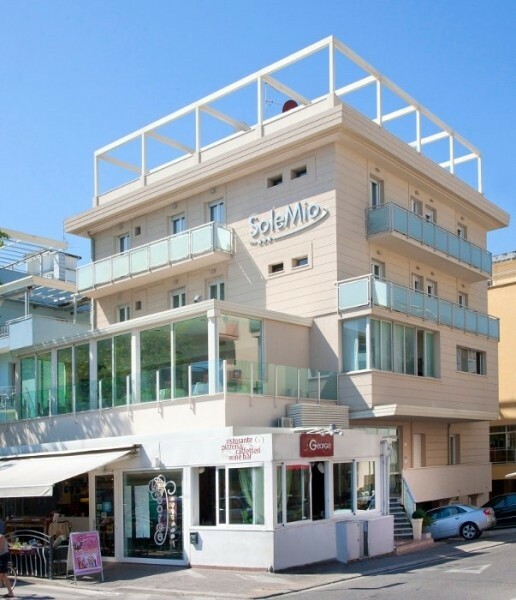 If you are looking for a place to be yourself, then the hotel Sole Mio for you. Come and feel the warmth of Romagna, where familiarity and professionalism combine to give you the best. In this hotel of Rimini you will find on the ground floor, the reception staff always present and a refreshment bar. safety deposit box, shower, large balconies and air conditioning, some also with sea view. Here, everything has been thought of to make your holidays an unforgettable moment. New 2018 - new gym! To complete our offer to the Hotel Sole Mio we have created a space dedicated to those who want to stay in shape outside of the home, even on vacation! You will find a gym equipped with the tools basic to not to miss your workout!